You have a problem. You open the fridge and all you have is leftover rice. Cold plain rice sounds blah but you don’t have time to cook something fresh. Bring the leftover grain to life again with these fantastic quick-to-make patties the whole family will devour. They’ll fill your kitchen with the unbelievable yummy smell of toasted sesame seeds. Fill a dish with sesame seeds. 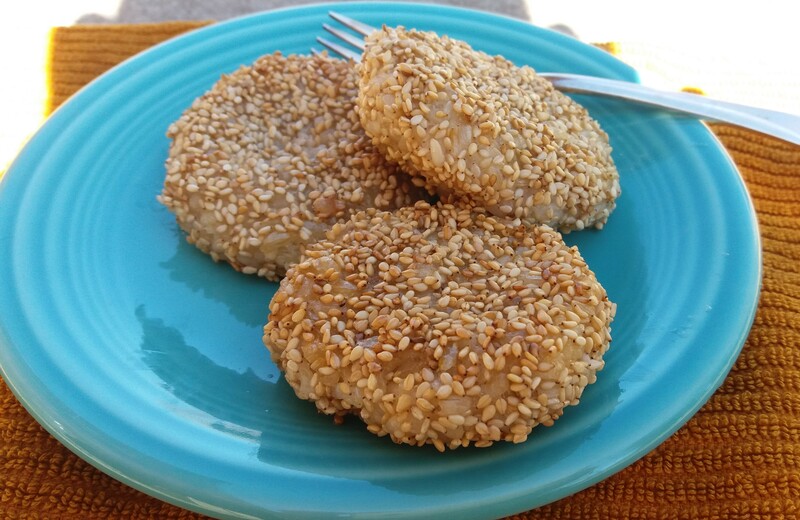 You will use this dish to place the rice patties in and cover them with sesame seeds. With your hands, scoop up a handful of rice and form it into a patty. You will need to press the grains between your palms for 20 or 30 seconds to get it to form a patty. 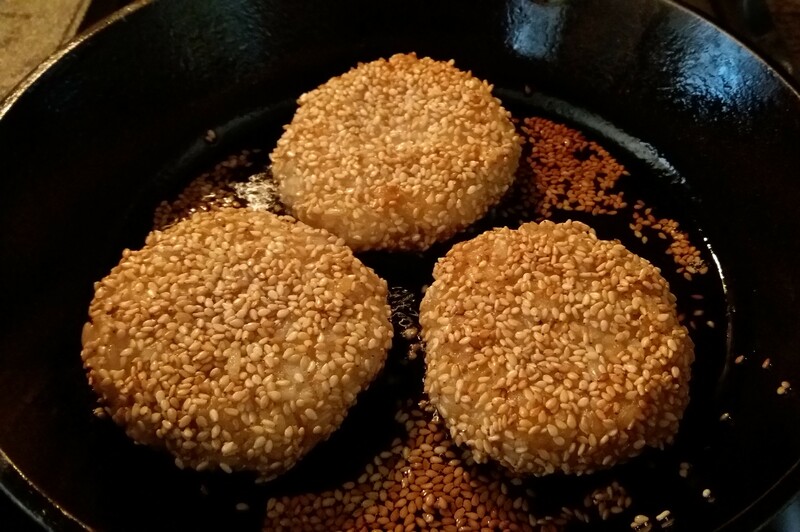 Once a patty is formed, roll it in the dish with sesame seeds fully coating the patty on both sides. Make several patties at once so you can fry them all together. Heat a cast iron pan on medium heat. When warm, add enough sesame oil to fry. Place the patty in the pan and fry for 4 to 5 minutes per side. The aroma from the sesame seeds browning will be delicious. Once both sides are fried, place on plate and enjoy!